Morris Country drivers deserve a vehicle that can handle all the tasks and adventures that are necessary. This includes providing the right amount of space and utility features that every driver finds necessary, not just convenient. When you drive the 2017 Acura MDX, you’ll be amazed at how much versatility and utility can be packed in a luxury SUV. From second rows, to storage space, to the cargo area, you’ll be amazed at what comes standard on this new model. See for yourself what makes the new MDX utility so desirable. With a slender style, many Somerset drivers are shocked the 2017 MDX offers as much space as it does. Those riding in the second row will not only appreciate the spaciousness and overall comfort, but the available heated seats, abundant legroom, and one-touch smart slide feature make it all second to none. 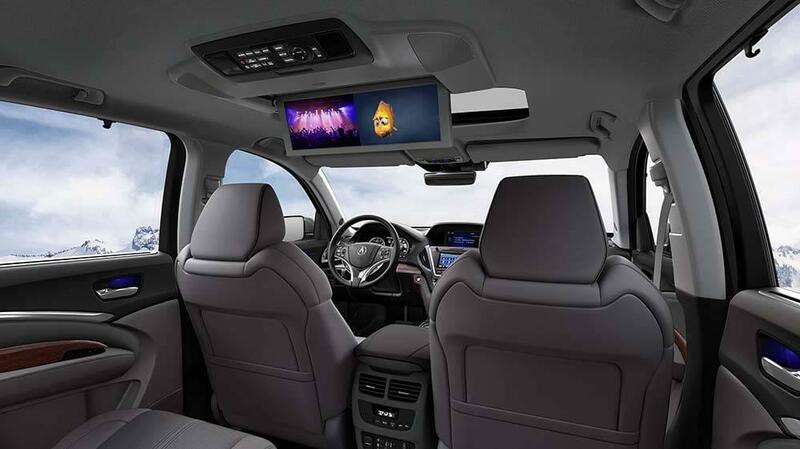 Most of today’s vehilces come equipped with consoles, but not many of them can claim the same dedication to comfort and innovation as the MDX. This center console moves forward and backward for your comfort while also providing space for all your belongings, including your cell phone. When you have three rows, it’s important to offer the right type of space. With plenty of legroom for passengers, the vehicle also offers 60/40 split second row and 50/50 split third row for easier access to the cargo space you need. Vehicles that have three rows are notorious for not offering the right amount of cargo space, but the MDX is not one of them. Even will all seats taken and folded up, you’ll still have access to more than 15 cubic feet of cargo space behind the third row. The 2017 Acura MDX is a vehicle that all Somerset drivers will want to experience, simply because it offers a variety of style and functionality as well as utility and versatility. From its spacious second row—with ample head and leg room for adults—to the innovative center console that offers a space for everything, there is nothing on this model that won’t excite you. After all, not many luxury SUVs can deliver the same type of utility as this one, which is why it should be in a class all its own. When you want to experience the 2017 Acura MDX for yourself, be sure to visit Acura of Denville at 3109 NJ-10 in Denville, NJ. We have a large selection of vehicles waiting for you to explore, and this gives you the opportunity to see the MDX utility in person. Feel free to also contact us online or by calling 973-361-2626 today to learn more about our financing options or vehicle specials. Our team is always here to help, so don’t hesitate to contact us.